Ban Xia Xie Xin Tang was created by the great ancient Chinese doctor Zhang Zhongjing about 1800 years ago to treat the “pi syndrome” marked by the focal distention or fullness in the stomach, with or without the stomach pain, along with vomiting, nausea, loose stool or diarrhea, and poor appetite etc.. Such an array of symptoms is a display of coincident cold and heat. In the term of traditional Chinese medicine (TCM). the syndrome is considered as a disharmony between the stomach and the spleen that results in the disturbance in the flow of the Qi energy both upwards and downwards in the stomach. Ban Xia Xie Xin Tang is formulated to harmonize the stomach and descend the rebellious Qi. 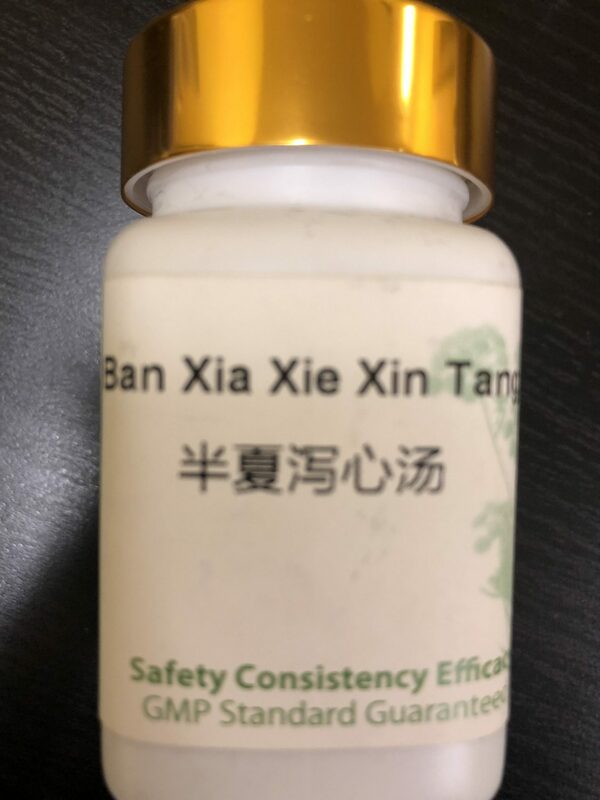 In the formula, Zhi Ban Xia (Pinellia Rhizome) is the chief herb that harmonizes the stomach, moves down the Qi, and stops vomiting. Huang Qin (Scutellaria root) and Huang Lian (Coptis rhizome) disperse the heat with their cold and bitter property. Dang Shen (Codonopsis) and Gan Cao (Licorice root) nourish the spleen and promote the central Qi. 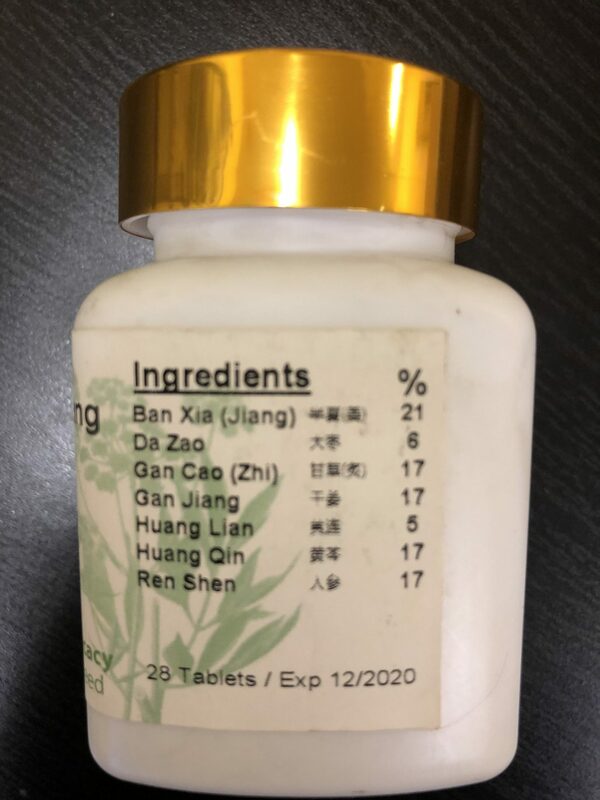 Many clinical studies have been conducted in China to relate the TCM application of Ban Xia Xie Xin Tang to gastrointestinal disorders in the modern biomedical terms. 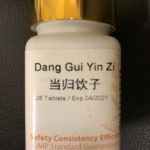 These studies showed that Ban Xia Xie Xin Tang and its modified forms may be successfully applied to deal with acute gastritis, chronic atrophic gastritis (CAG), acute and chronic enteritis, gastric ulcers, peptic ulcers, and gastroesophageal reflux disease (GERD).† In the studies the diagnosis of the cases are generally confirmed by modern techniques such as gastroscopy, colonoscopy, and tissue biopsy. How the Chinese medicine acts to restore the stomach function remains largely unknown. 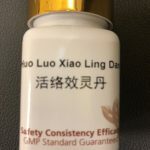 Laboratory studies suggested that it may increase the content of gastric mucin, decrease the ulcer index, and protect the mucoid lining of the stomach. Scutellaria root and Coptis rhizome in the formula have an inhibitory effect on the growth of Helicobacter pylori, the bacterium causing most diseases of the upper gastrointestinal tract.